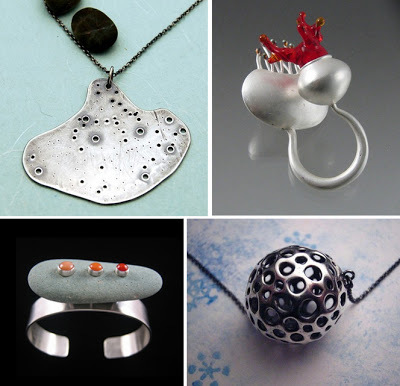 I just love the abstract, but mostly organic looking pieces from these metalsmiths. I stumbled upon their work through etsy metal. Etsy metal is a juried group, and it shows, each designers work is impeccable and the photography is perfection. Many of the designers have been long time favorites of mine, so expect some more etsy metal designers to grace this blog in the future. Wow, thanks so much. It’s an honor to be featured with such talented jewelers.